Designed for food industry professionals, COMTELL is our premium service that provides the quotes, news and analysis necessary to make the best decisions. 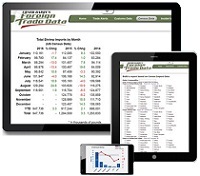 Easily chart prices and compare items from the Red Meat, Poultry, Egg and Seafood markets. 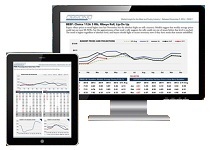 Regular updates on benchmark price quotes and commentary to stay abreast of changing markets. 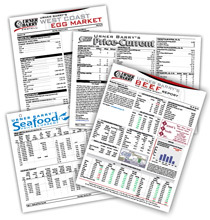 Reports are available for the Poultry, Egg, European Egg, Seafood, Beef, Pork, Lamb, Veal and Byproducts markets. Detailed information on each and every frozen waterborne shipment of seafood entering the United States. OBSONO Analysis and Forecasts released Bi-Weekly for more than 50 items. Quarterly Executive Reports and Webinars. Premium seafood industry daily news service that incorporates the broadest possible newsgathering network to provide up-to-the minute market information and breaking news. News from the center of the plate. From farm and feedlot to fork, Foodmarket delivers the stories and ideas you need to grow your business and stay ahead of the bell curve. Delivered online and via e-mail. This report shows benchmark pricing in order to provide transparency and efficiency to the market. Thousands of verified companies and contact listings in the major protein and aligning industries.